I found this cute metal dustpan in the dollar spot at Target and couldn't wait to use it in my next project. 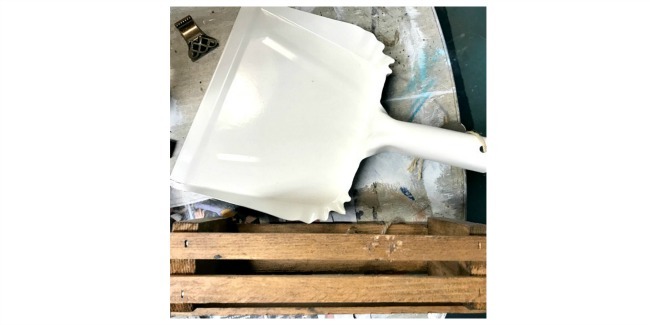 First, I wanted to attach a wooden crate to the dustpan, I put E6000 glue along one of the slats and the edge of the dustpan. 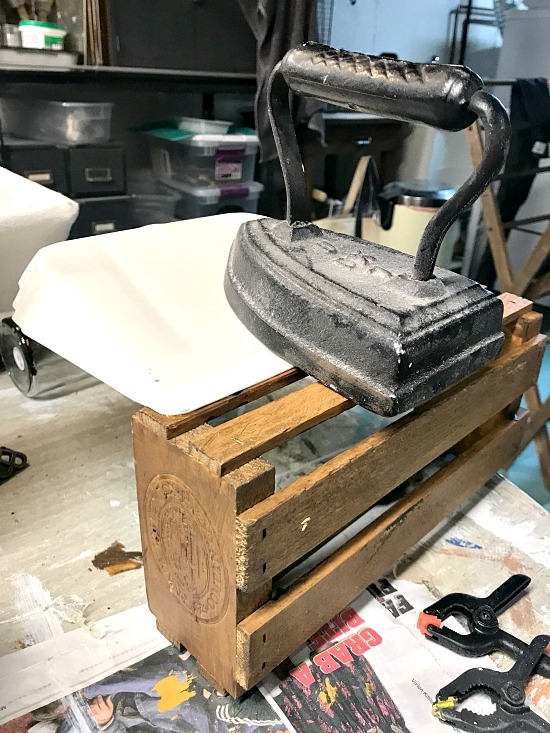 A heavy iron held the pieces together until the glue dried. 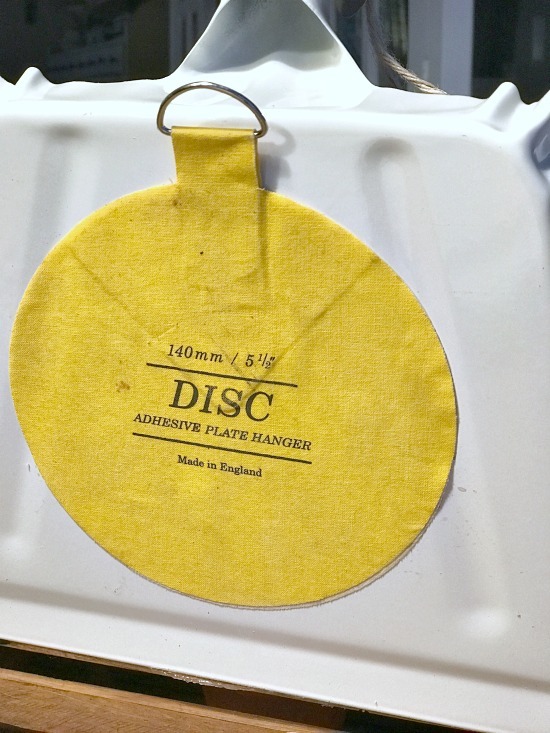 I attached a DISC plate holder to the back of the dustpan. 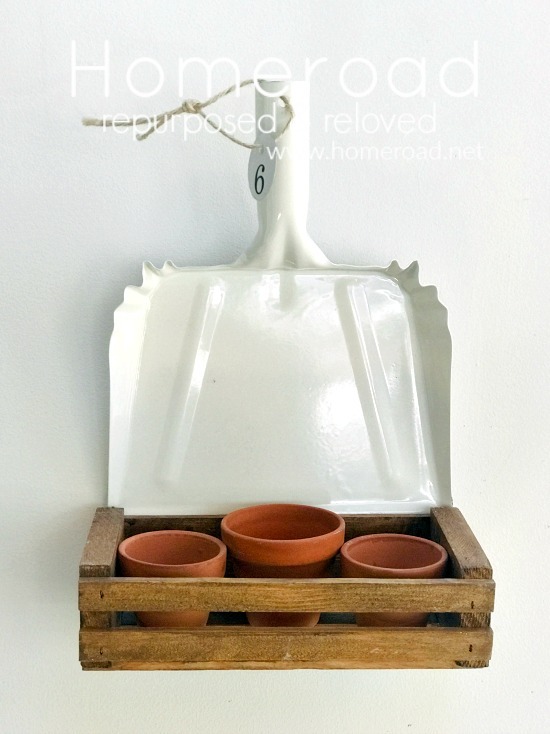 These are great for hanging things like plates to the wall because it allows them to lay flat against the wall. They are also removable. 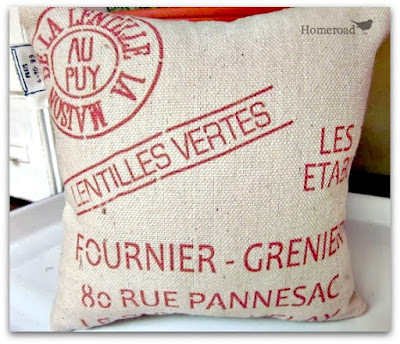 I tied a length of jute through the handle and added a DIY enamelware numbered tag to the jute. 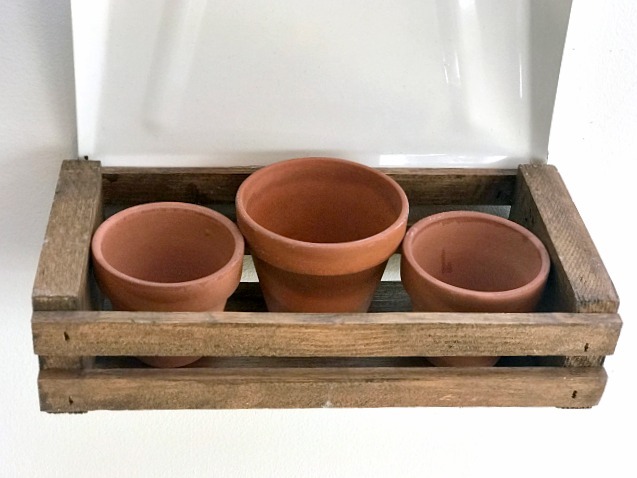 I added small terracotta pots to the crate which can be filled with faux plants or real plants if you hang it outside. Another cute feature is that the dustpan is metal and therefore magnetic. 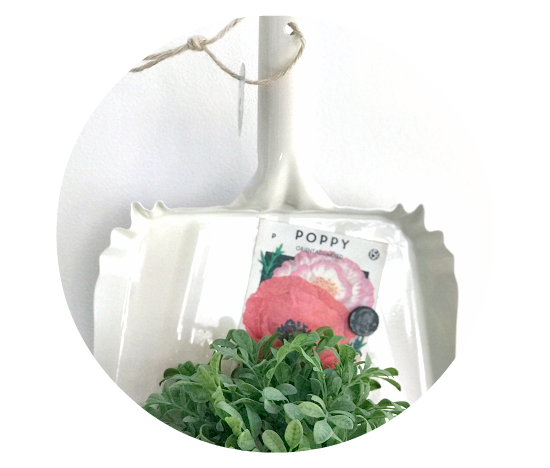 I added a seed packet with a magnet to decorate the dustpan. 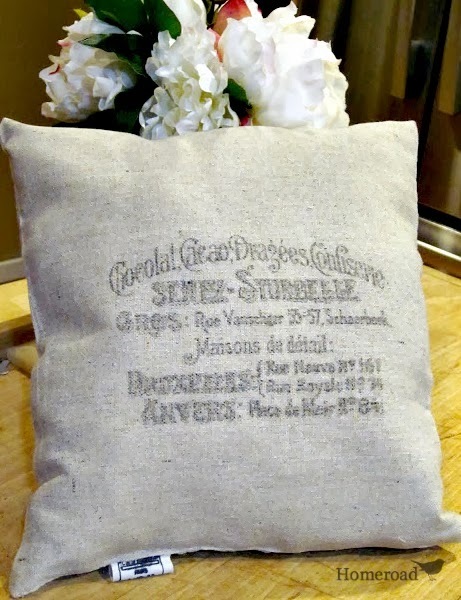 This can hang on the wall or sit on a table. 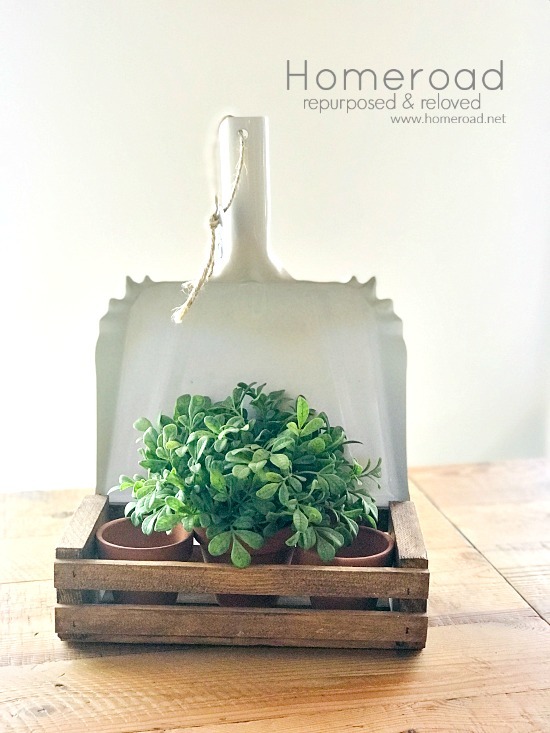 An adorable farmhouse look made with something unexpected! 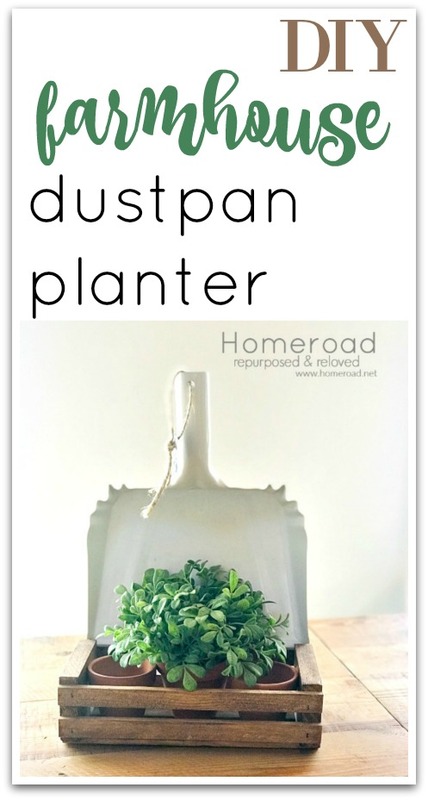 Please sign up for the Homeroad emails and have my latest DIY project sent straight to you. What an adorable idea, Susan!